The noise of the violins rising from the audio guide, battling against the thunder. The young face peering through barbed wire with outstretched hands. Me, standing there with an umbrella hiding tears amongst the rain drops. It could have been a movie scene. But it wasn’t. It was the remains of a hell I was stood in the midst of. I look down and see bones, to my side the floor is littered with the remains of clothes. The skulls of those who were tortured sit in the distance. 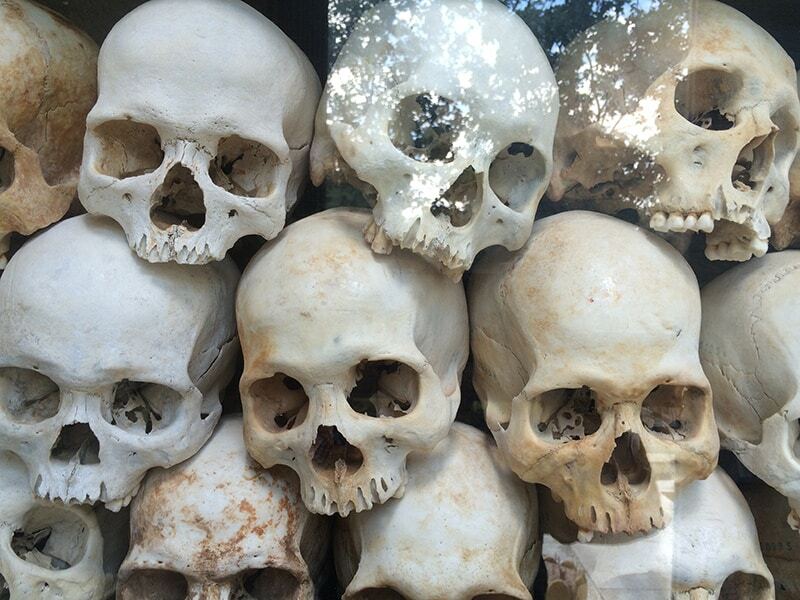 The reality of the Killing Fields, the history, the emotion consuming me in a completely new way. I look inwards and question, why I can’t help that young boy stood soaking wet whose eyes, are glazed over. Why my world has been so much fairer than this one. Why these places ever had to exist. The dark history of Cambodia was never touched on in my school education and that seemed a common theme throughout the group I visited with, if you are the same allow me to talk history. During the Khmer Rouge regime, nearly anyone with an education or connection to the previous government was a threat. All those, and many others, that came under these categories were rounded up, arrested and tortured before eventually being executed. This is not from centuries ago, but recent history which took place in the 1970s. 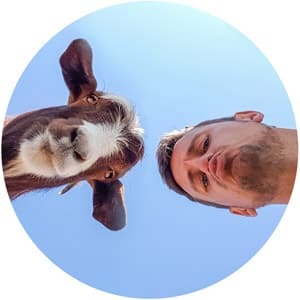 Although exact numbers of those murdered fluctuate between resources many figures average out around the two million mark. Ethnicities were targeted along with Monks and religion. The tragic reality is, many western countries had the chance to help stop this, but whether through great deception, extreme naivety or the decision not to acknowledge it they didn’t. I am not going to start talking politics on this subject, you will have your own decision after visiting the museum. The figures, however, do not count the millions of other who died through starvation and illness after the executions. 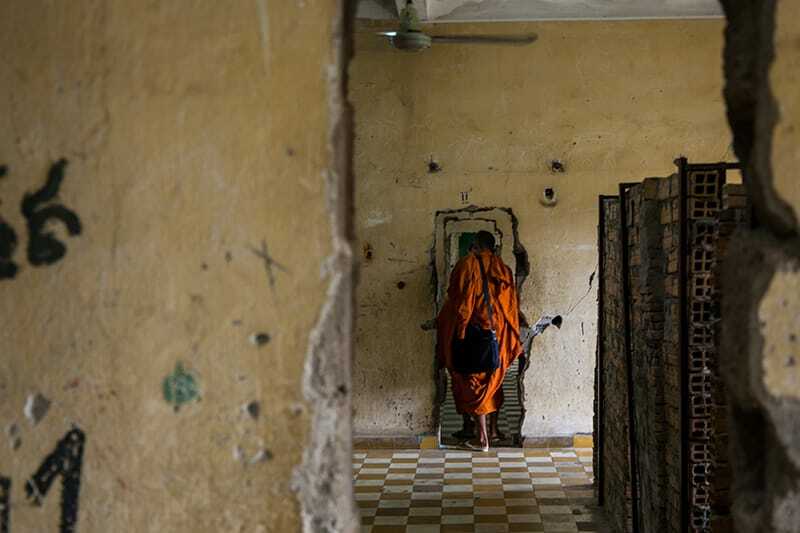 The impact of the Khmer Rouge lives on and is evident in modern day Cambodia. The warmth, strength and power of the Khmer people, however, triumphs these days and is noticed straight away by any visitor. For a more in-depth history, check out Wikipedia. Never have I visited a place so raw and so emotional. The audio guide tour is incredibly detailed and includes history, stories and some of the most haunting specially composed music I have heard. 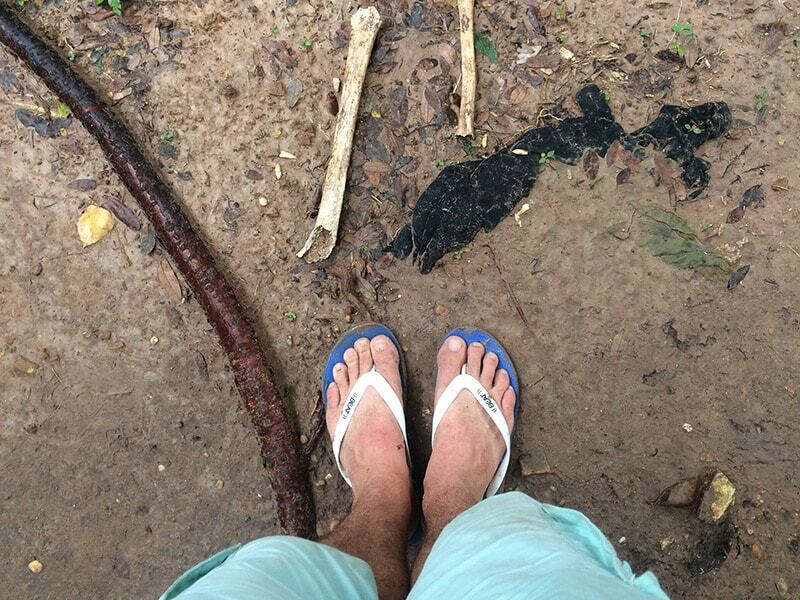 Shortly after arrival a storm struck which dislodged bones and clothing from the floor. This is not a tidied up and glamorised version of history, it is very raw and incredibly impactful. The Killing Fields, of which this is one of many, were the murder site of beyond a million people. Mass graves hidden out of sight are now ditches in the grass and act as a memorial to the tragedies that took place here. You can still see the tree’s children were beaten to death against and memorial building houses the skulls of many whose bodies were dislodged to the surface. Words can’t describe this place. Although graphic and challenging to visit, it gives such an insight into the country I couldn’t have gained from anywhere else. 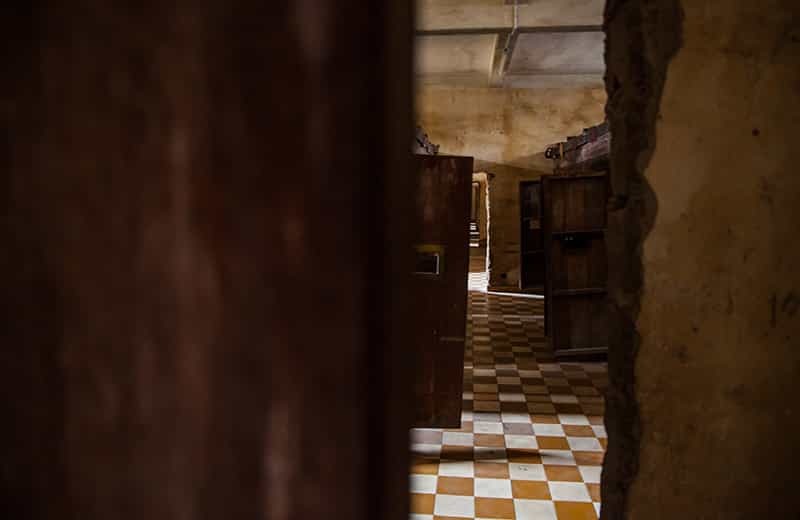 The Toul Sleng Genocide museum, also referred to as S21 Prison has been cleaned up in parts to house the history on display. In other wings, little has changed and the weight of the history and tragedy literally clings to your skin as you slowly take it in and chills linger over you. Doing both here and The Killing Fields back to back makes for a tough experience. People in my group broke down in tears and had to leave. The day was unlike any other I have had at similar places to remember a dark history. 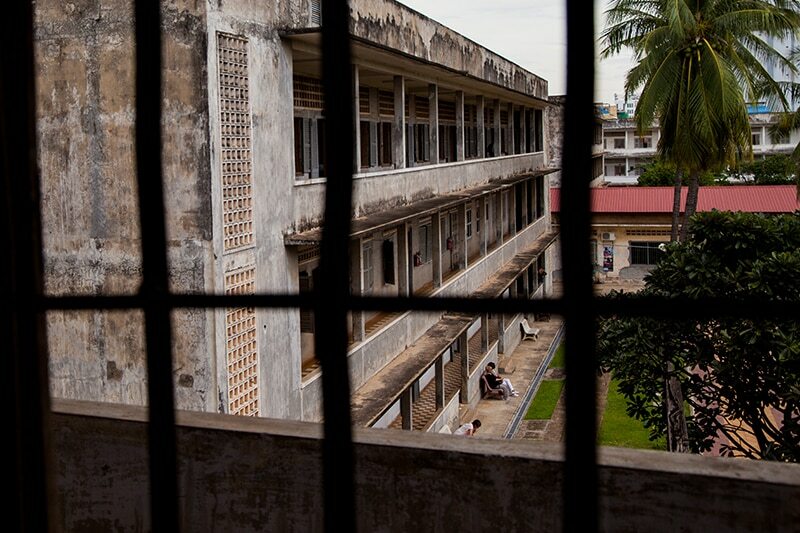 During the Cambodian genocide, this old school was converted to be a detention centre for those 17, 000 who were held here before heading to the Killing Fields. The grounds became a burial site for those who died during torture whilst under arrest in the very building. It now houses photos and stories to be learnt from as well as retaining some of the original fittings. The photographs of the faces that once resided here will haunt you long after you have returned home. Opening Hours: 07:00-17:30 (Closed over lunch) | Entrance Fee: $2 | Top Tip: One of the survivors usually has a book stall here. If you get a chance, buy the book and spend a while talking with him. Find more information on sustainable community work and the tour I joined in Cambodia/Vietnam at Hands on Journeys. You can get 10% off the booking price by using code DFS10 at checkout. You have described this place beautifully. I went there some time ago and was deeply affected by the sights I saw, more than I had thought I would be as I had known the history of the period in question, read about it and watched newsreels about it when it first came to our notice. I had also watched the read details of America’s involvement in Cambodia as they denied it, something that helped lead to the rise of the Khmer Rouge, Thank you for this. We all need to be reminded of these facts from time to time, especially now when the world is in such a state of chaos. I unfortunately didn’t get a chance to visit Cambodia on my trip to the area, but I’ve heard that this is a place that you don’t want to miss. Extremely eye opening to say the least. It’s sad to think that people are capable of such evil, but that’s unfortunately part of the world we live in. I visited both of these places when I first visited Southeast Asia eight years ago. You’re right, it’s pretty intense. But it’s amazing that all these years later I can still remember both places so vividly. Both had a pretty big impact on me. I think it’s so important for tourists to visit these places during their trips to Cambodia. It’s a big learning experience and they offer a great insight into this country’s unfathomable history. I doubt they will ever leave your mind. They are just so raw. I do think it is a shame that many just visit Angkor and leave without learning much more about the country and specifically the history, I was amazed we didn’t cover it at school. Good luck for the next move, excited to see where you are heading next!